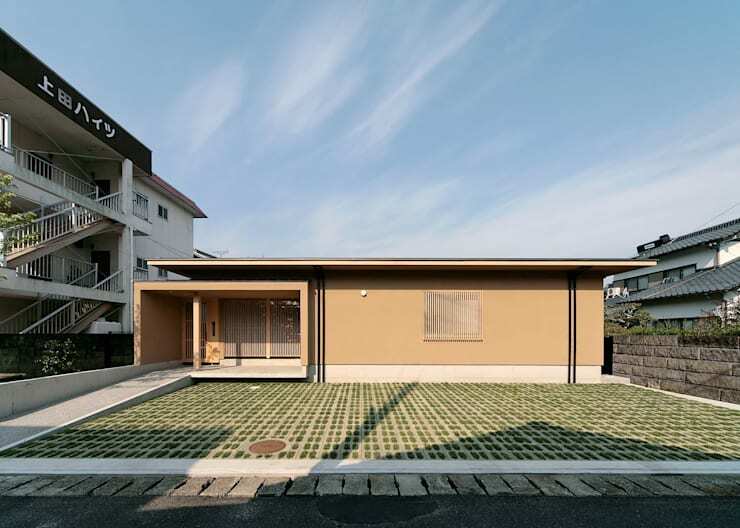 Known for its minimalist design, Japan has once again impressed us with this small house but big on style. Why is this perfect for the Philippines? It's made of wood, a favorite material in building houses in the Philippines. It is well ventilated, perfect for Philippine weather. And it's spacious enough for a small to medium size Filipino family. Now, let's take a closer look and see what else this house has to offer. 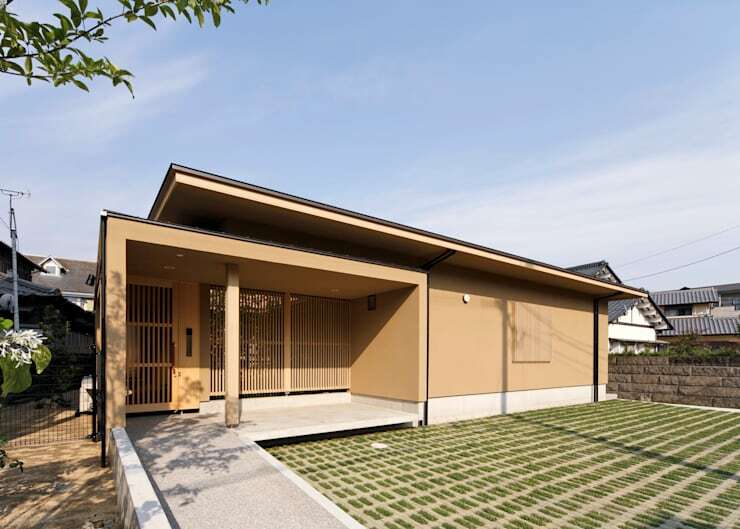 The Japanese architects designed this abode in a wide horizontal orientation. Giving an inviting and welcoming feel is the honey color exterior that signals a warm family home. Coming closer, we see how the porch looks like a separate part of the house. This is a rather modern take on the minimalist aesthetics of the house. Notice how the pathway looks seamless as it leads to the entrance. Right by entrance, you already get the whole feel of the place. 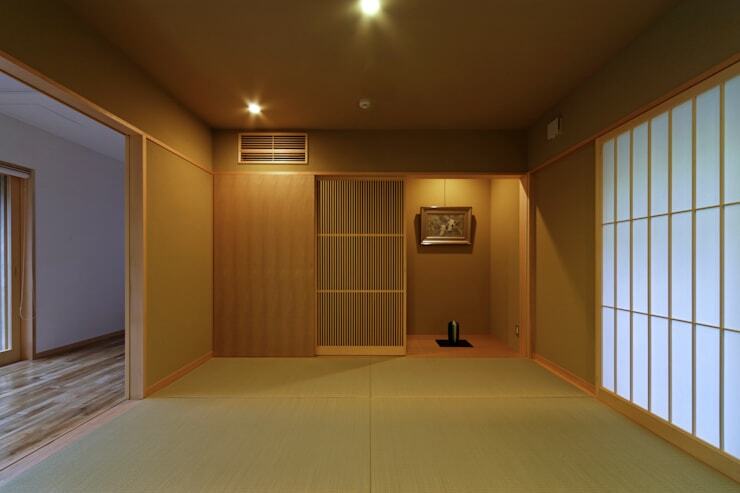 It's your typical Japanese interiors with wide doors and an open space. We can't wait to see more of this house! The open space concept creates a continuous flow from the dining room to the living room. From here, we can see how the area appears bigger with the white ceiling and huge windows. 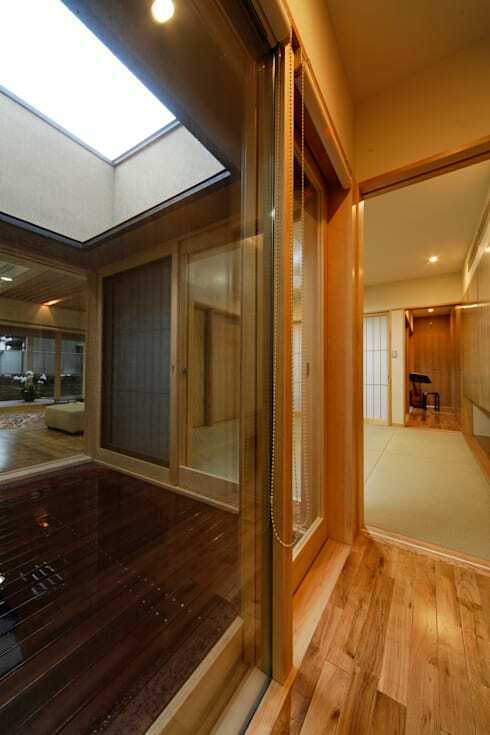 Notice also the open vent in the ceiling of living room that allows air and light inside the room. We're also loving the gorgeous wooden floors! 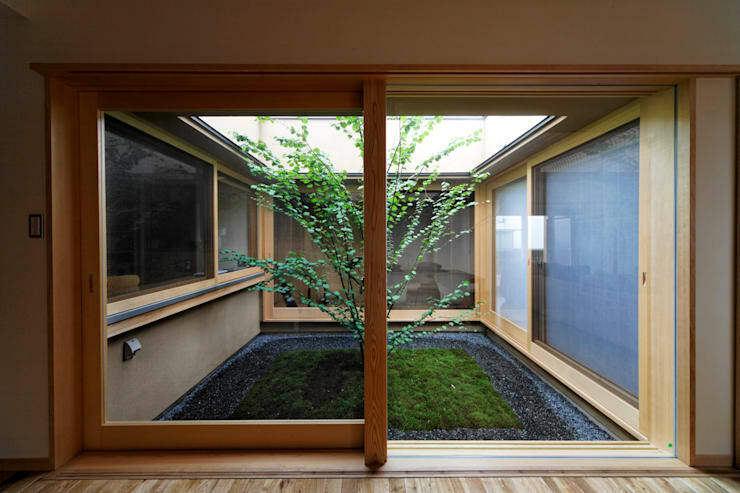 As with most Japanese design, zen element must be present like this indoor garden. It adds life and color to the neat and simple concept of the house. It's also an excellent centerpiece and good topic of conversation. The tropical weather in the Philippines gives us the luxury to spend time outdoor. 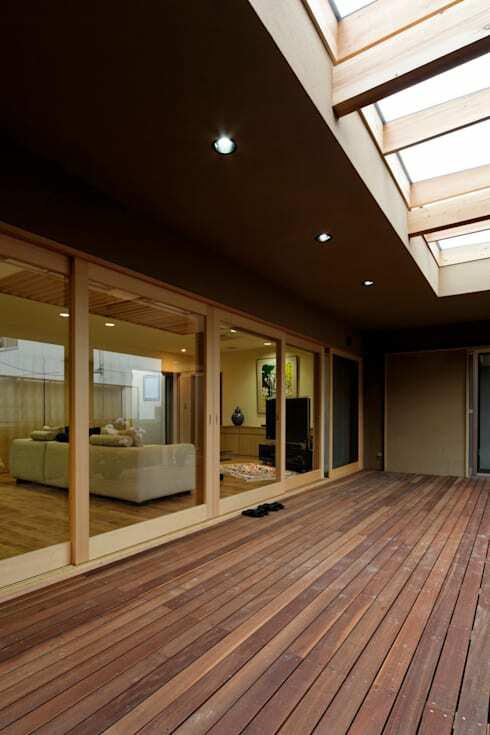 Even if this terrace mainly serves as an entrance, it would be an idea to setup outdoor chairs for relaxation. The bedroom is as peaceful and relaxing as the rest of the house. This is perhaps the most traditional part of the entire property. With its clean lines and minimalist design, you are sure to have a good night sleep. 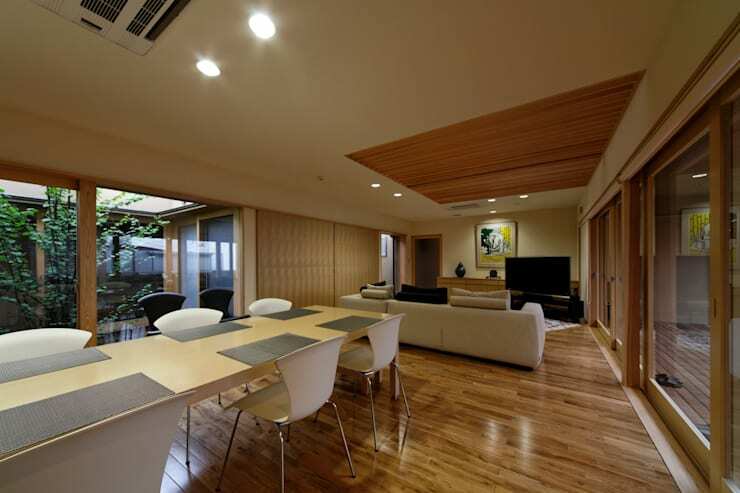 If you like this house, you want to check out this beautiful Japanese home you can easily recreate in the Philippines.